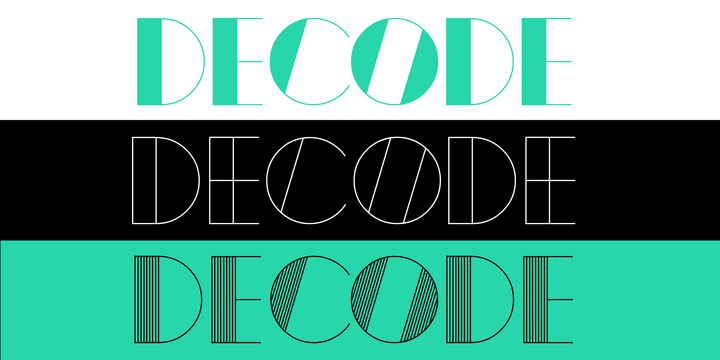 Decode is a typeface created by Max Little and published by Little Fonts. It is a retro styled font and is available in 3 complimentary styles. A font description published on Monday, October 22nd, 2012 in Fonts, Little Fonts by Alexandra that has 3,366 views.